​Chelsea talisman Eden Hazard claims that he has reached a decision on his future after months of speculation linking him with a move to Real Madrid. Hazard was strongly tipped to follow his fellow Belgian Thibaut Courtois to the Santiago Bernabeu last summer, having admitted that it is his dream to play for Real Madrid. ​Hazard elected to stay at ​Chelsea until summer 2019, at which point he is expected to either join ​Real Madrid or sign a new contract. With his current deal expiring in 2020, the Blues can ill afford to lose Hazard for nothing. 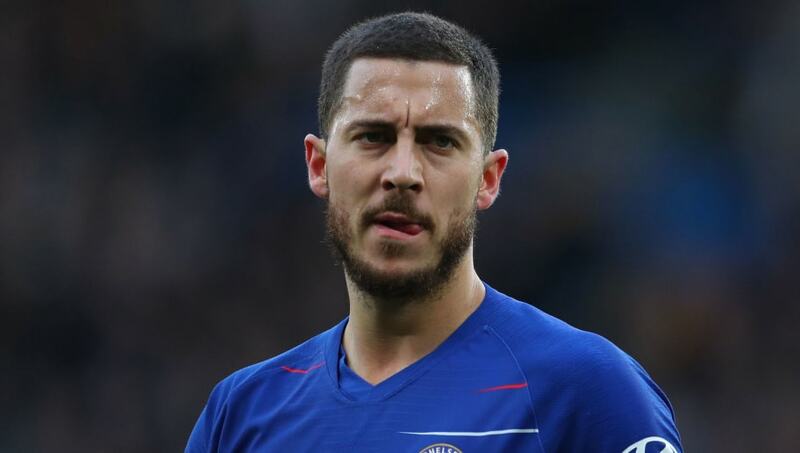 Hazard has now told RMC that he has made a decision on his future, and Belgian journalist ​Kristof Terreur claims that Chelsea have been made aware of his choice as well. "I know what I am going to do. I have made a decision," Hazard said. Hazard has been Chelsea's best attacking player this season, scoring 15 goals in all competitions, but Maurizio Sarri believes that he should be allowed to leave if he wants to. "The situation of Eden is different," Sarri said last week. "Eden is 28. If he wants to go, I think he has to go. "Of course, I hope the opposite. I hope he wants to stay here with us and improve. He has the potential to be the best player in Europe at the moment. Sometimes he's happy with something less." ​Reports from Spain last month indicated that Chelsea had slapped a €100m (£88m) price tag on Hazard after he refused to enter into new contract negotiations.